We've seen plenty of Raspberry Pi jukeboxes, but few are as elegant as Imgur user justthatoneotherdude's. On the software end, justthatoneotherdude runs Volumio with a Spotify client, but that's not what's interesting. What's interesting is the woodwork and knobs they use. 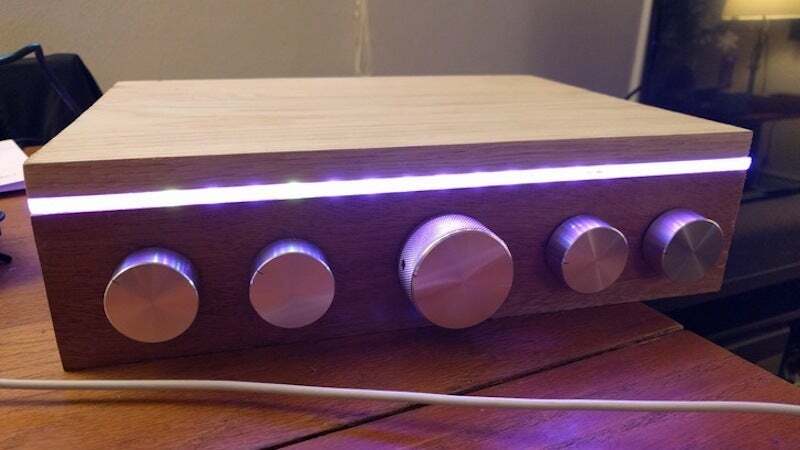 The whole thing is packed into a solid wood case, then one knob is used for volume, while the others are linked to Spotify playlists. The device also packs in some colour changing LEDs to help spice things up a bit too. It's a fantastic looking little device, and simple enough to modify to suit your needs.